There are all kinds of places you can encourage people to subscribe to your mailing list. Make sure there’s an obvious link on your website, for example in your sidebar or footer. You may also want to explore plugins and disturbers, particularly as they provide more opportunity to explain why people should subscribe to your list. Anywhere you’re asking your customers to submit information on your website can also be used to encourage subscribers. For example, if someone’s leaving a comment, signing up for an account, or placing an order, you can add an easy checkbox for email subscription as part of that process. If you keep customer mailouts separate from your marketing emails, then you could ask people to subscribe to your marketing list whenever they trigger an email as a customer. For example, order confirmation emails, account sign ups, and similar could all include a link (and a reason) to sign up. Selectively test the different options to find out which brings the greatest success. For maximum return, you’ll not only want to assess how many signups you get from a particular source, but also the quality if possible (i.e. how long they stick around and how engaged they are with your emails). Anything that makes people more aware of you and your brand is helpful, for example guest posting. If people are interested in your article, they’re often open to subscribing to more when they reach the end, making this a particularly successful technique if you post good articles or blog entries on your own website. Do a trade or joint promotion with someone else in a related, but not conflicting, field. If you don’t have your own subscribers to bargain with, be creative and think about what else you can offer. Free/discounted services, social media promotion, guest posts, or networking opportunities can all work well. Failing that, you could always consider offering a payment to someone to be part of one of their marketing emails or have a dedicated mailshot sent out about your company. Don’t be afraid to ask people to subscribe directly, through your own emails and email signature, social media, and by referencing your mailing list in press releases, blog posts and so on. You can also suggest to existing subscribers that they forward your email to a friend if they found it useful/interesting. A simple form field or checkbox is more likely to be ignored if there’s no incentive to go along with it. Describe what kinds of emails you send out and the benefits of signing up; provide at least one strong reason why someone would want your emails. Popular reasons include exclusive content ( e.g. downloads, ebooks, starter guides, discounts, free resources etc. ), follow ups or continuations of existing content, existing and upcoming discounts and special offers, competitions, and so on. The key hook is exclusivity; people are more likely to sign up if you’re offering something that can’t be found anywhere else (particularly if it’s only available for a limited time). There’s no point having a mailing list if your audience isn’t targeted. Make sure your discounts and competitions and freebies will appeal to the kind of people you want to attract. 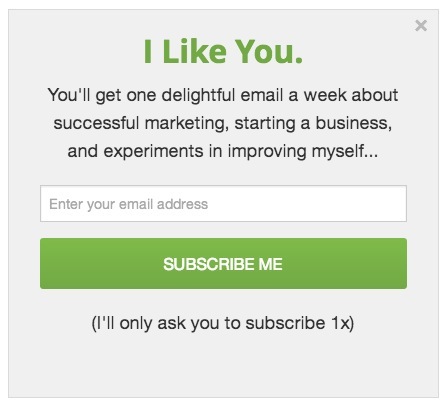 If people are forced to subscribe to your mailing list to download something or get a discount, chances are they’ll unsubscribe when they get your next email. If you get any positive comments about the emails you send out, use them as testimonials. Word of mouth recommendations are only increasing in value across the web, and are generally very persuasive. If you end up with two broad groups of subscribers: those who are existing customers and those who haven’t bought yet, make a clear division between them and send them separate types of emails. This will ensure that your emails always remain targeted to both parties, you don’t annoy existing customers with new offers, and you don’t assume new customers are familiar with your products and services. Once you’ve created these two groups, you can divide them up further if needed. For example, existing customers can be grouped depending on how much they tend to spend, when their last purchase was, what products/services they have, and so on. If you have a small subscriber base or rarely send emails, you probably don’t want to divide your users up too much or you’ll end up creating far too many different types of emails for tiny numbers of people. Best of all, segmenting is a win-win for everyone. The more targeted your emails are, the more your mailing list will grow organically, the fewer unsubscribes you’ll get, and the more positive your readers will be about your company. 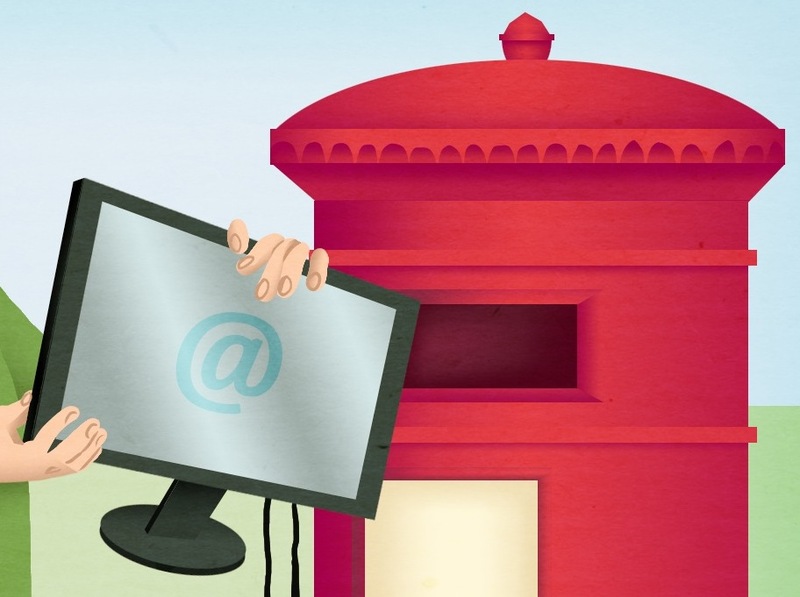 A key part of building up a successful mailing list is keeping good subscribers. Make sure that you adhere to the rules of people subscribing to your emails – for example EU legislation requires a double opt in to ensure that you aren’t spamming people. This is worth knowing and being clear on for both yourself and your clients. One of the main reasons people unsubscribe from emails is because they’re receiving them too frequently. Know your peak times across the board, from hours and days to months and seasons. For example, in consumer industries Christmas is often the most successful period, but if you target businesses during that time chances are you’ll be flooding abandoned inboxes until January. Again, this is why testing is so important to maintain; it could potentially take two years to start seeing some patterns. Check all links and offers work correctly; something we’re guilty of on occasion! In a rush to get an email out, it’s easy to forget to check that everything is perfect. Accept the feedback you get, and use it to make your emails, marketing, and general service better. Feedback is really valuable and can not only help you maintain your subscriber list, but grow it further with less effort. Arguably the most important is split testing, so make sure you pick an email marketing tool that offers in-depth, reliable reporting as standard. What are your top tips for increasing subscribers, or your biggest challenges? Drop us a comment below and let us know!